While cellular-based Internet of Things (IoT) technologies are still being finalized in the standards process, non-cellular solutions like those promoted by Ingenu, Sigfox and members of the LoRa Alliance are catching a bit of a break. These companies and others are expanding their low power wide area network (LPWAN) technologies, and they’ve had time on their side. France’s Sigfox aims to install networks in 100 U.S. cities by the end of this year. Ingenu is expected to cover at least 30 metro areas with its Random Phase Multiple Access (RPMA) by the end of 2016. They can enjoy their time in the sun while wireless operators and their partners ramp up LTE-based systems that will compete with them. That’s in part because unlike proprietary technologies, standards require a lot of time to build consensus and develop an ecosystem. For an example of how things can change relatively quickly where time and standards are involved, one might consider the somewhat mysterious case of LTE Category 0. Even as recently as last fall, chip vendors were talking about Category 0 for supporting IoT in licensed bands. During Super Mobility Week last September, LTE chipset supplier Altair Semiconductor was arguing that LTE Category 1 chipsets could achieve many of the benefits that were supposed to be delivered in the more advanced Category 0 chips without the need for device makers to add in new silicon. At the same time, Sequans Communications was touting Cat 0 but conceded that network software upgrades could bring the benefits of Cat 0 without the need for new chips. By early this year, industry leaders were saying that Cat 0 probably wouldn’t see the light of day due to an unfortunate incident of timing. “On paper it exists,” Craig Miller, Sequans’ vice president of marketing, toldFierceWirelessTech, but that’s about all. 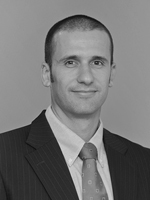 The reason Cat 0 didn’t get off the ground was it truly did not offer any significant benefits over Category 1, and it required pretty significant upgrades on the network side, according to Eran Eshed, co-founder and vice president of worldwide sales and marketing at Altair Semiconductor, the Israel-based company that Sony acquired earlier this year. “There was a lot of capital to invest and there was very little gain versus Cat 1, which worked out of the box. It works with any higher category network while Cat 0 required upgrades,” he said. Plus, the next generation promised better performance for IoT. “Cat 0 kind of got squeezed in the middle, and it didn’t happen,” Eshed said. Altair didn’t even bother to invest in Cat 0. However, Mark Bartolomeo, vice president IoT Connected Solutions at Verizon, told FierceWireless in April that the carrier could offer the pricing options to its IoT customers starting in 2017 for those that use Verizon’s LTE Cat M, Cat 1 or Cat 0 network technology and devices. He said Verizon is supporting LTE Cat 1 devices commercially today, and that Cat M and 0 devices are currently being tested. So, not everyone has written off Cat 0, or at least, not the features that it represents. Intel also is actively involved in 3GPP and believes that support for industry standards is essential for improving the speed of innovation; it’s offering products that support LTE Cat 1, Cat M1 and NB-IoT. While Cat 0 may have fallen by the wayside more or less, there are plenty of other variations of LTE for IoT. That’s because no single technology is ideally suited for all the different potential IoT applications, so the standards community decided to standardize several different low power wide area (LPWA) technologies, including EC-GSM, LTE-M (Cat 1) and Narrowband IoT (NB-IoT, also referred to as Cat M2) to provide a family of solutions. EC-GSM, for example, serves applications for GSM markets. LTE-M supports a range of IoT applications including the content-rich ones, and NB-IoT covers ultra-low throughput applications with cost and coverage advantage over LTE-M, according to Ericsson. 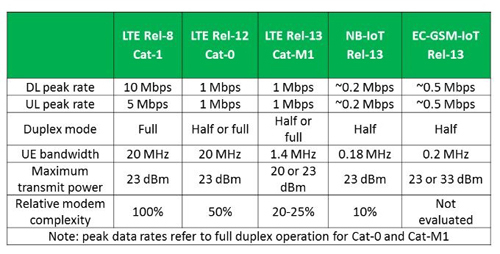 The various categories of LTE are not by accident. In the midst of many non-cellular technologies being developed around the world, the cellular industry decided to create its own version for LPWA. That’s not to say operators won’t consider using an unlicensed spectrum technology for IoT. Even as service providers declare their support for Narrowband IoT, they’re investing in non-cellular alternatives. As Yves Bellego, director of technical and network strategy at Orange, told FierceWirelessEurope, Orange deployed LoRa technology in France because it provides bi-directional connectivity – and because it’s available now for commercial service rather than having to wait for a standards ratification process and for that to work its way into commercial products. Of course, none of this could come to fruition without some rigorous debate via 3GPP, which is part of ETSI. Last fall, two opposing camps were pushing separate paths for the low-power and low-bandwidth IoT. In one camp, Nokia, Ericsson and Intel were part of a group supporting NB-IoT. A competing radio access proposal pushed by Huawei, based on technology it acquired in 2014 with the purchase of IoT radio module specialist Neul, was also being proposed; it was sometimes called Narrowband Cellular IoT (C IoT) or “clean slate” C-IoT. Around the same general timeframe, the GSMA had announced that it had established the “Mobile IoT Initiative,” a project that had the backing of 26 of the world’s leading mobile operators, including AT&T. It was designed to address the use of LPWA solutions in licensed spectrum. Eventually, the cellular industry got its collective mind together and merged the two competing IoT LTE proposals into what some are calling not a compromise but a melding of the best of both worlds. Another less-known provider of mission-critical M2M and IoT connectivity products and services is Digi International, which is aware of the cellular standards coming down the pike. The company typically sells to OEMs, not to operators, with its solutions used in everything from street lighting to sensors that measure potentially dangerous emissions in oil field operations. Jay Kilby, Digi’s director of Product Management, RF, said cellular meets a lot of customers’ needs but it typically needs power at the locations and involves higher-dollar assets where customers can afford to pay a higher fee. As cellular data rates start to come down and the newer standards kick in, customers will have more choice in the next year or so to go with an operator-led solution, which makes a lot of sense in some applications, he said. But he added that the alternative that companies like Digi offer may end up being more affordable in part because there’s no recurring monthly service fee. For the home, Thread is moving down the path of being the aggregator, and one of the cool things about it is it allows you to give an IP address to the end node or sensor or whatever devices are on the Thread network and every device will have an IP address, which allows those types of devices to interface with other IP networks over the Internet, said Matt Dunsmore, product manager at Digi. “That’s something that hasn’t been done before. ZigBee wasn’t able to do that, Z-Wave and others weren’t IP friendly, so that’s one interesting direction where Thread is going where I think they’re pretty strong,” he said. According to Dino Flore, chairman of the 3GPP RAN and senior director of technical standards at Qualcomm, there is no official name yet for the User Equipment (UE) category related to NB-IoT. It will be defined shortly. Cat M1 is the name of the UE Category related to Release 13 enhanced version (eMTC). Altair’s Eshed said that while each of the new cellular technologies offer interesting dynamics, there’s also a lot of market perception or misperceptions related to them as well. For one thing, there are some perceptions that Cat-M2 (formerly known as “Narrowband IoT”) is more suitable to compete with other LPWA technologies, vs. Cat M1 (formerly known as Cat-M), which supposedly consumes more power and will be more expensive. But a simple comparison between the two from a technology perspective shows that not only are they very comparable, but Cat-M1 has an advantage over Cat-M2 in a few areas, such as downlink performance and better interference immunity, he said. Cat-M1 will support VoLTE and mobility, and from a power consumption perspective, “it’s better,” he said, noting that his comments would be perceived as controversial. As a chip company, Altair will support both, and even a version that combines both. “We’re not against Cat-M2 at all,” he said. But he wants to be clear that clients should not expect Cat-M2 to be half the cost or two times the battery life of Cat M1. From a timing perspective, Cat M1 will be ready sooner; it’s been standardized and around for a while, with the intent for 3GPP to ratify Cat-M2 in June.